Is My eCommerce Website Trustworthy Enough? Trust is a very important part of any business. This is especially true when it comes to an eCommerce website. If your site visitors are put off by anything on your site whether it’s the design, text, images, etc., you’re going to have a hard time convincing them that you’re a reputable business. Want to convince your site visitors that you’re legit? First impressions are very important for online stores. If your site design is ugly and unprofessional, you are likely to lose a huge percentage of users. Let’s face it, we all like beautiful stuff. So, if your site looks professional and trustworthy enough, visitors will stay and see what you have in store for them. For instance, if you are selling environment-related merchandises, then it would be logical if your website has pictures of the environment just like Panda Shop here. Your website should also look up-to-date with company news or activities in social networks or blog. 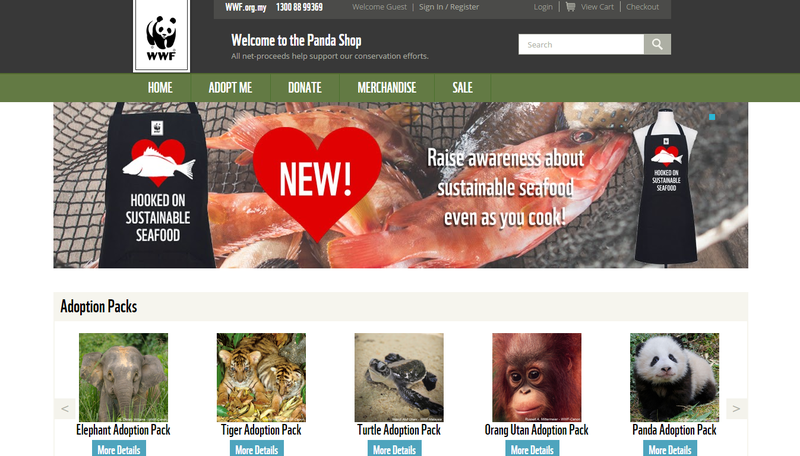 If you would like to try the eCommerce platform used by WWF Malaysia, click here to try their beautiful and professional looking website templates. Once you have their interest in your products or services, they will want to know more about your business. One of the best ways to answer to this is by creating a good “About Us” page that includes a brief history of your business, types of products or services that you offer, and what is so unique about you. Next, you need to prove that you run a legitimate business else people are going to think you are some con-man. This can be done easily by including a “Contact Us” page with a telephone number, email and mailing addresses, and other information that people can easily reach. You can even use Google My Business that connects you directly with customers when they are searching for you on Search, Maps or Google+. 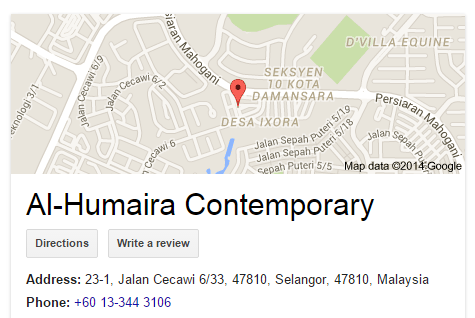 With Google My Business, Al-Humaira customers can now get the right info about their business on Google. While most Internet users aren’t concerned with the backend technicalities of security socket layers (SSL) or trust certificates, they are aware that both SSL and trust seals is a way to recognize a secure and trustworthy website. With these, customers will have extra reason to believe that your business is legitimate and reputable. If you are setting up an online business in Malaysia, you can consider the Trust Award – Malaysia. It is an exclusive prize which aims to honour online shops in Malaysia that have been rated best in terms of trustworthiness and popularity. SSL Certificate used to secure credit card transactions, data transfer and logins. 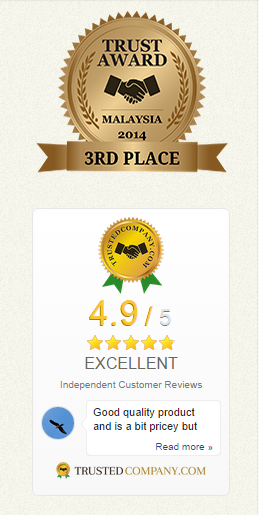 Better Business Bureau (BBB) that helps customers to find trusted brands. Bizrate.com to provide customers with a way to assess the quality of your online store. McAfee Secure to indicate that your website is FREE from malware, viruses, phishing attacks, and other malicious activities. Once customers are ready to make a purchase, there is one final concern that can influence their decision – how secure is the transaction. PayPal or 2Checkout if you are selling worldwide. 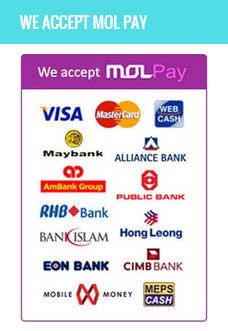 iPay88, MOLPay or eGHL if you are selling in Malaysia. All you have to do is put up the payment gateway logo supported by your web store so that customers feel much safer buying from you. The next thing to do is to prove that customers’ private data will remain secure when they do business with you. 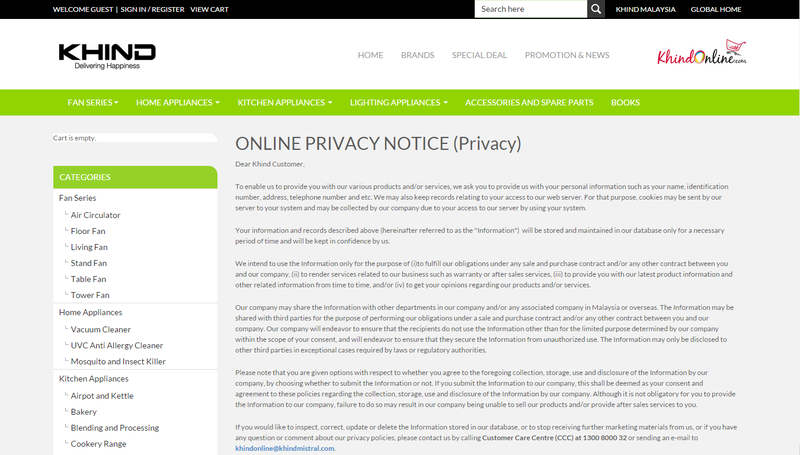 When all privacy policies are stated clearly in your website, customers will believe you because the declaration is valid. Sometimes, all a potential customer needs to get over trust concern is a little reassurance from previous customers. Customers always believe third party review – they are much more receptive to the experiences of your previous customers than what you’re saying. Testimonials from satisfied customers will be sufficient and convincing enough – so, you’ll need to acquire as many testimonials from your real customers. Include a picture of them with some background information to help increase their credibility. If you have a significant followers on social media, showcasing them on your website can be very helpful. For example, you can insert widget showing that you have 10,000+ Facebook fans on your homepage. To the visitor, this lends the business some credibility because it shows that other people like and trust them. Many people now judge the credibility of a business based on its popularity on social media networks, so this can be a huge advantage for building trust. The more fans you have, the less people are worried about trusting you. A blog that is updated frequently is a sign that your website is well-managed. It is an indication of how you manage your company. But there’s more to it than just frequent updates. If the content is bad, that creates a bad impression of your brand. It is your responsibility to prove to them that you know what you’re talking about. Your contents should be trustworthy and if possible, written by an expert in your field. When you write good contents related to what you do, people will never doubt your credibility. Openly communicate with customers or prospects. Rank you higher in Google search engine. Adds a personal, human-touch to your store. webShaper a.k.a Neowave has been listed in DMOZ – the web largest directory, so now you know you can trust us. Getting your website listed in top directories is a way to boost trust in your eCommerce business. When a site gets submitted to a directory, it has to go through the process of review and approval by a human editor. The editor checks the website for quality, content, category selected and various other parameters before listing it under appropriate category. It’s not enough to simply list your contact information on your website. You’ll need to respond to inquiries within 1 business day. 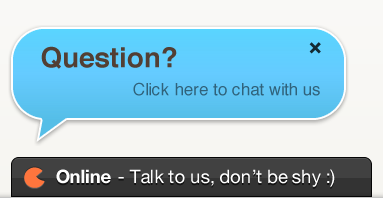 If you don’t, you run the risk of negative reviews online and an overall poor reputation as a seller. When customers reach out to a company, they expect a high standard of customer service, which means responding to their inquiries within a reasonable amount of time. Will you purchase from a company that took weeks or even months to respond? So, the faster you attend to their needs, the more they trust you. Help your friends measure their website’s trustworthiness with these tips. What about price comparison websites? I know that there are some price comparison engine in Malaysia that has links to ecommerce websites (same company I mean). 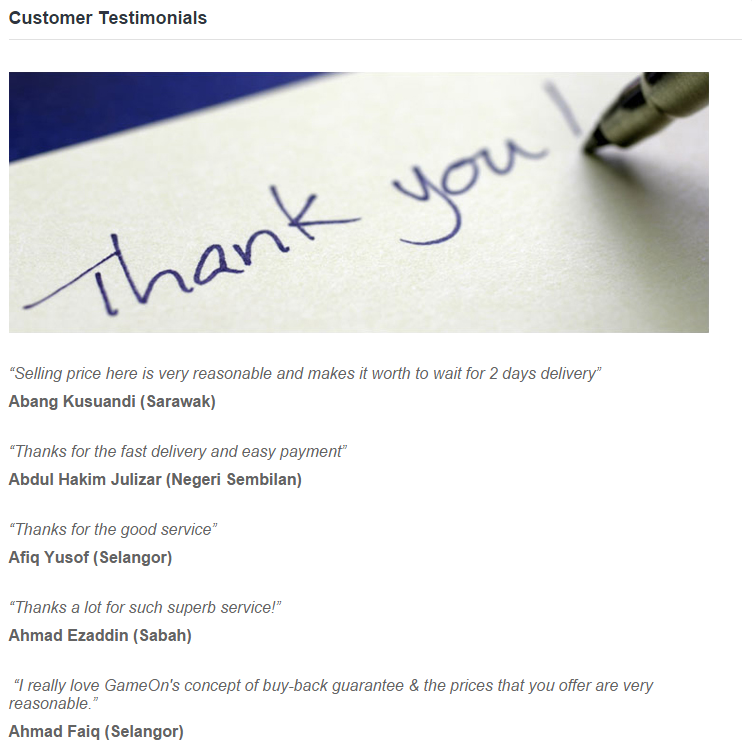 Are you going to write something on price comparison engine in Malaysia? 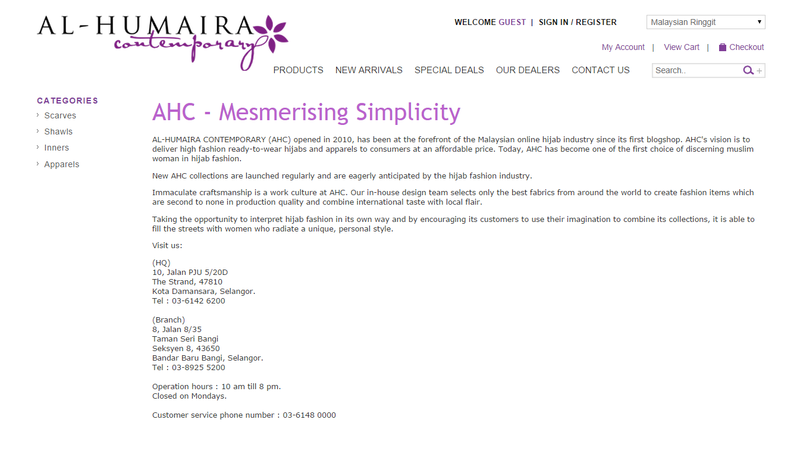 Like http”//bijakmall.com, priceme, pricepance, imoney,….